The Cotton Patch supply an extensive range of threads for different patchwork and quilting projects. We hold threads by Gutermann-Suky, YLI, Aurifil, Wonderfil, Superior, Presencia, Fil-Tec, Coats and our own COTTY range for example. 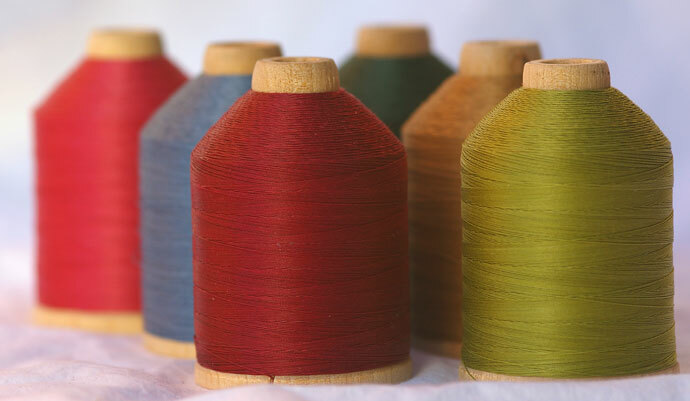 There are plain and variegated threads and browsing in the shop makes it easier to colour co-ordinate with your fabrics.